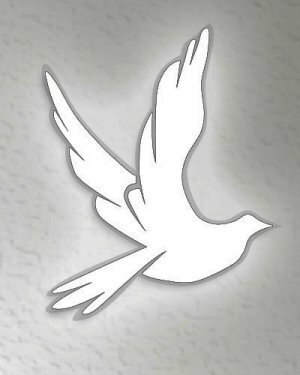 Obituary for Dennis J. Enright | DeMarco-Stone Funeral Home Inc.
Dennis J. Enright, 63, of Worcester, NY, formerly of Schenectady, died at home Sunday, November 18, 2018. Born in Amsterdam, NY, Dennis was the son of the late Basil and Mercedes Atala Enright. He graduated from Schalmont High School in 1973 and later attended Herkimer County Community College and SUNY Geneseo, where received his Bachelor’s degree in communications and also served as the news editor of The Lamron, the school paper at Geneseo. Dennis was employed as a sales agent with Terry Morris Ford in Burnt Hills for many years and also at Krystal Chrysler and Jeep in Warrensburg, NY. Following his retirement, Dennis worked part time for the Cooperstown Freeman Journal in sales as well as writing articles for the paper. Dennis enjoyed swimming, reading and watching sports. He was an avid “NY sports” fan. He is survived by his sister, Debra (Howard) Moyer of North Greenbush as well as several nieces, nephews and cousins. Calling hours will be held on Monday NOVEMBER 26th from 6-8 pm at the DeMarco-Stone Funeral Home, 1605 Helderberg. A Memorial service will be held on Monday, DECEMBER 3rd, at 1pm in the Mekeel Chapel at the 1st Presbyterian Church in Schenectady. Memorial donations may be made to the Schenectady Animal Protective Foundation, 53 Maple Ave. Schenectady, 12302.